In medium saucepan, combine broth, spinach and onion powder. Bring to a boil. 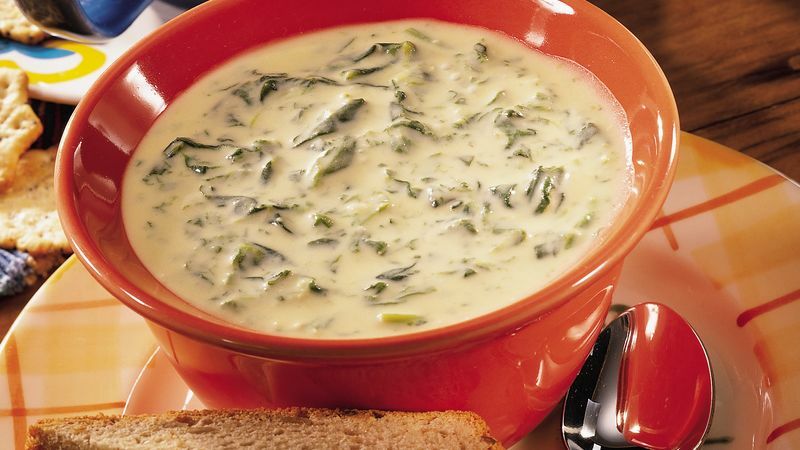 Reduce heat to low; cover and simmer 5 to 7 minutes or until spinach is thoroughly cooked. In small bowl, combine milk and flour; blend until smooth. Add to soup; cook and stir over medium heat until bubbly and thickened. Reduce heat to low; simmer 2 minutes. Add cheese; cook and stir until cheese is melted and soup is thoroughly heated.